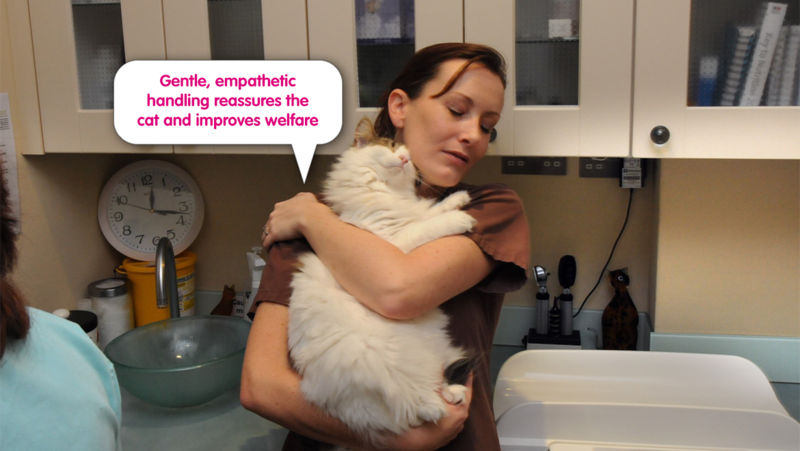 Handling of cats and communicating with cat clients in the clinic are two aspects at the very heart of the Cat Friendly Clinic programme. Most cats and cat owners find the visit to the veterinary clinic stressful – and some much more than others. Understanding basic feline behaviour and being able to educate clients about feline behaviour (why they get stressed, how to meet their physical and emotional needs in the home environment) is an important starting point. Much of this is covered in the Guide to creating a Cat Friendly Clinic, which is made freely available to all clinics that register an interest in the Cat Friendly Clinic programme. Owners may also want to read the freely available book Essential Cattitude – a beautifully illustrated e-book that helps to explain normal cat behaviour. What to do when cats arrive at the clinic, etc. Some of these are also covered briefly in the owner leaflet on Bringing your cat to the clinic. 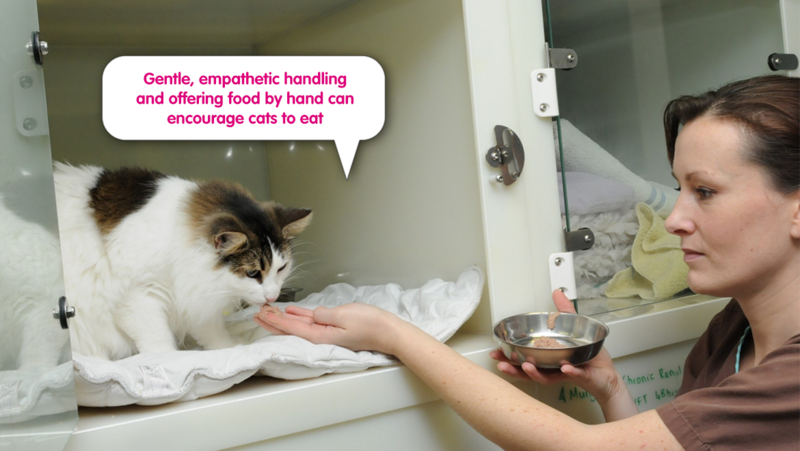 Some people are naturally more empathetic towards cats than others – try to use this to your advantage. If you have vets and/or nurses and technicians who enjoy cats and are more empathetic with them, use these staff members primarily for your feline patients. 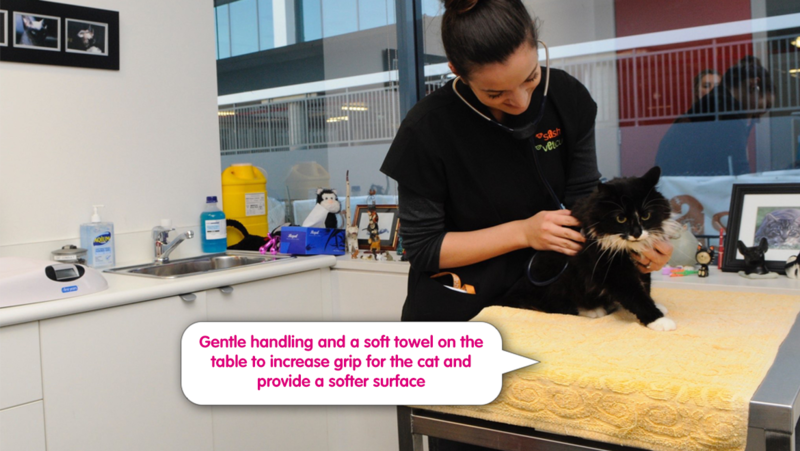 Although some people are better and more empathetic with cats than others, everyone can learn and improve their cat knowledge and cat-handling skills – make sure this happens in your clinic. Ensuring that all staff are welcoming to cats, and treat them with gentleness and respect. Cats respond better (less fearfully) to gentle handling than to heavy restraint, which should always be a last resort. Staff should be able to recognise when cats are displaying fear and anxiety, and act appropriately (for example, by leaving the cat in a quiet environment for a while to calm down). The clinic environment should be as quiet as possible, and consideration should be given to odours and bright lights that may be stressful for the cat. Avoid direct eye contact with cats as far as possible as this may be perceived by cats as threatening. Allow the cat to initiate contact when possible (for example by placing your hand near the cat and allowing it to sniff and rub your hand). 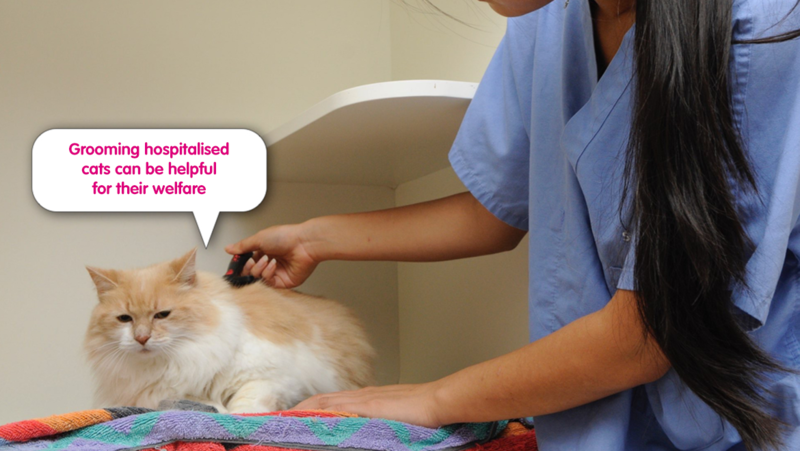 Use towels or blankets, when needed, so the cat can hide and be gently restrained while being examined. Make sure the cat is placed on a surface where it can grip properly, will feel secure, and will not slip. If a cat becomes fearful or anxious during an examination, take a break and allow the cat to settle down again.